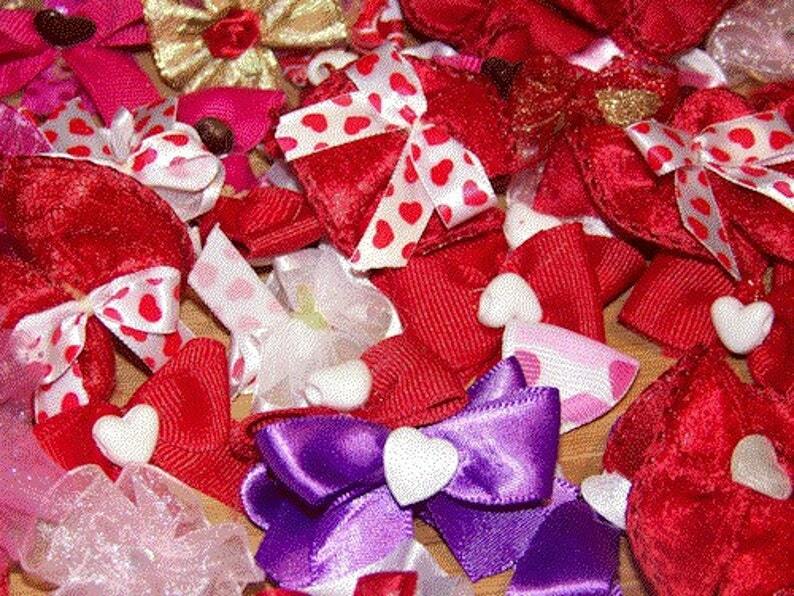 Dog bow assortment for groomers. Red, Pink, Hearts, Purple, Frills - Oh My! Perfect for the busy groomer anytime but especially for Valentine's day. 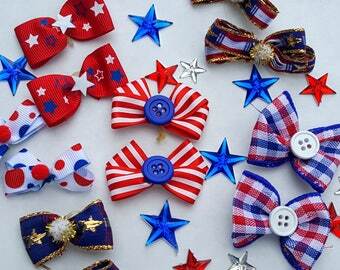 An assortment of bows perfect for top knots, collar bows, ear bows, or bow ties. 25 pairs - 50 pieces. The photo is an example of the bows you will receive. not the exact bows. 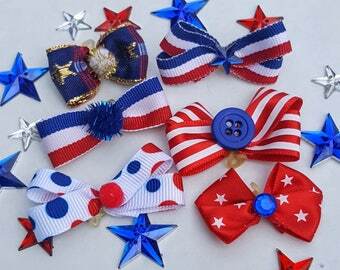 I am always coming up with new designs and I sell so many bows it's hard to keep the pictures current in the shop. Shipped with care 1st class or priority from Minnesota. 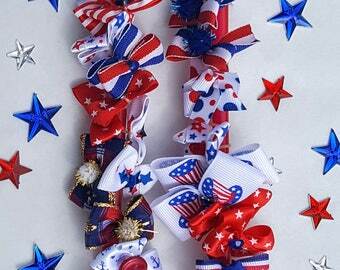 These bows are all handmade by me from cutting the ribbon to shipping. I do not broker bows. love them and very pretty! Adorable bows and all so different! Love the strong elastics too. Thank you so much!!! So cute and really quick! Will order again soon!